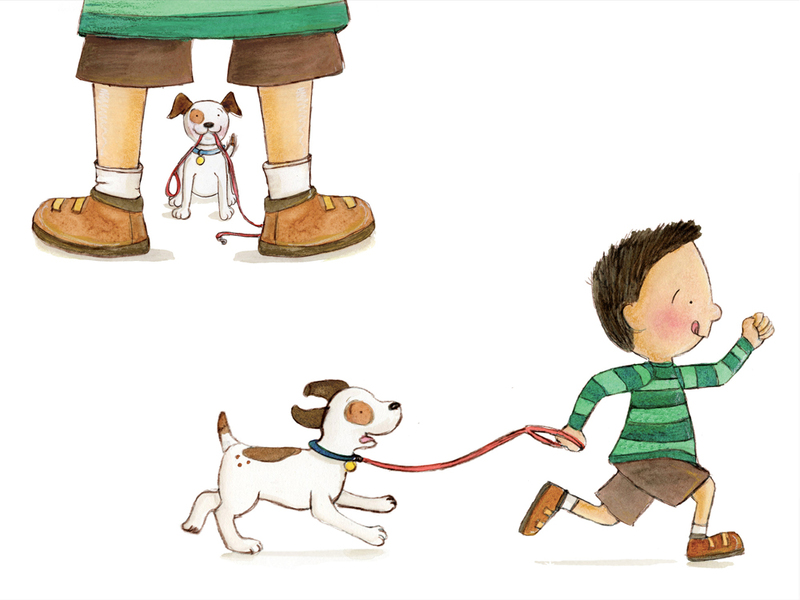 Today we have the pleasure of featuring Angela Padron, illustrator of two picture books and recent semi-finalist of Tomie dePaola's annual SCBWI illustration contest. 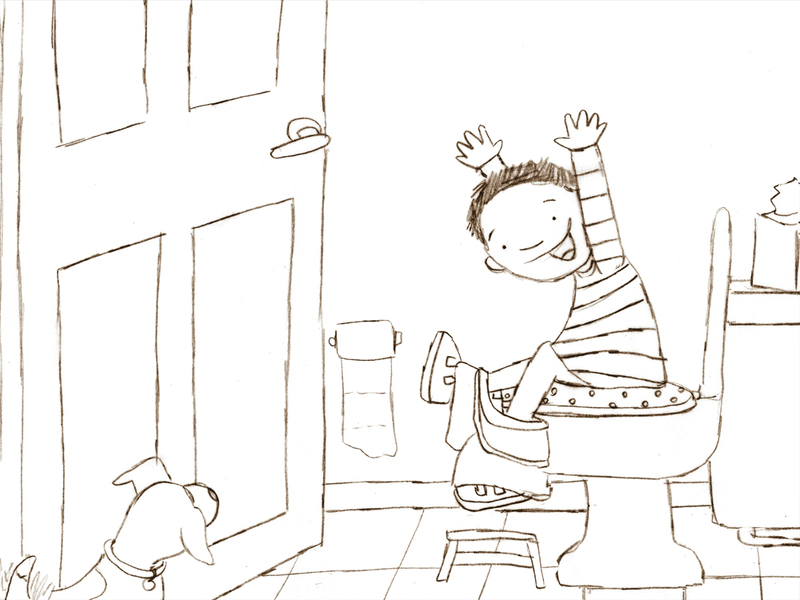 Tell us about your background and how you came to illustrate for children. I grew up in Freehold, New Jersey and studied to be an Art and Bilingual/English as a Second Language teacher. In 2002, I moved to sunny South Florida. After teaching at the elementary level for a few years, however, I began to realize that full-time teaching was not for me any longer. I had always had an interest in creative writing and art, so I decided to focus on writing and illustrating children’s books. In 2003, I discovered the Society of Children’s Book Writers and Illustrators (SCBWI) and attended my first conference in Miami. I was hooked! Soon after, I joined a critique group – the same fabulous one I’m in today – and studied, read, listened, observed, and absorbed anything and everything about children’s books that I could. Fortunately, I was able to teach part-time and acquire freelance work writing and editing material for educational publishers. That flexible schedule allowed me to enroll in 2007 in the online MFA in Illustration program at the Academy of Art University. After graduating in 2011, I started sending out promotional postcards to publishers and art directors. In 2012, I was hired for a small illustration project in the educational market. My big break, though, came in 2013 when I received not one but TWO offers to illustrate children’s books – THE HERO IN YOU (Albert Whitman & Co.) and MY BODY BELONGS TO ME (Free Spirit Publishing). Both books came out in 2014. 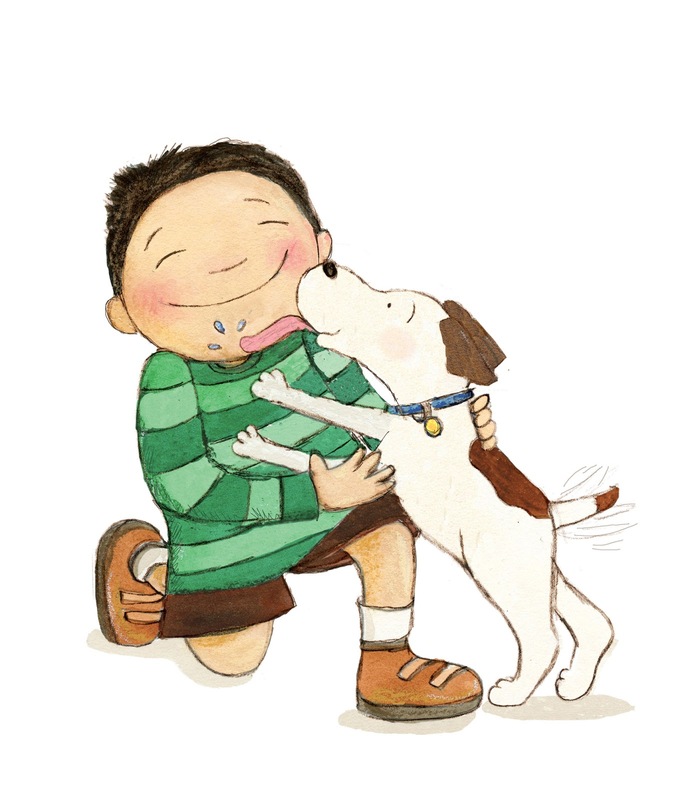 Your illustrations are so fun and lively. How would you describe your style? I would say my style is fairly traditional but bright and colorful. I try to draw simple compositions and characters that portray some type of emotion while catching the viewer’s attention, whether that means happiness, love, sadness, fear or what have you. Even the more realistic characters tend to have a simplistic look to them – I don’t like to make things too complicated for children to view and interpret. 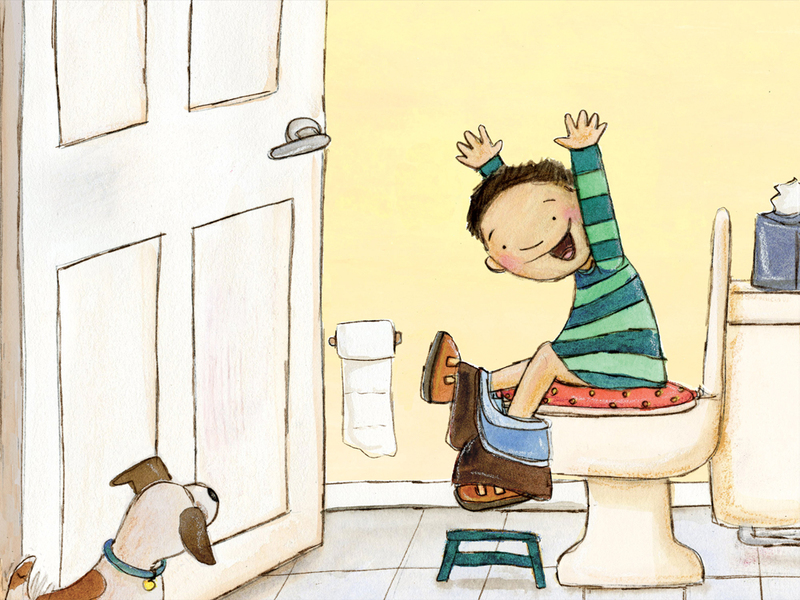 You were one of this year’s semifinalists for Tomie de Paola’s contest (congratulations!). Can you tell us about your entry that got you selected and the semifinal entry you submitted? Yes, I was super excited to be chosen as a semifinalist. This year’s prompt was in two parts. The first half took place in June, and the requirement was to draw a character in a sequence. 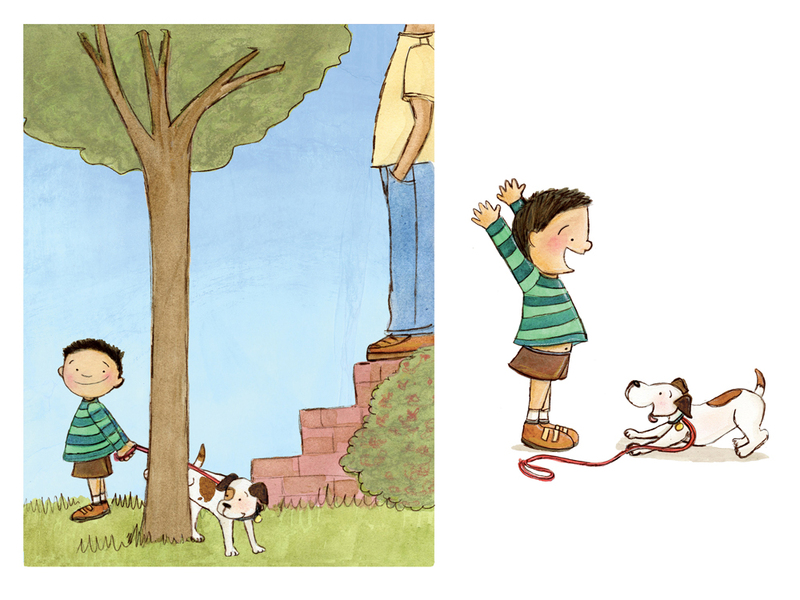 I entered some illustrations from a book dummy I’ve been working on called TIME TO GO, ZO! It’s about a boy named Zo who keeps saying he “has to go.” His family thinks he’s anxious to leave on a family outing, however he just really needs to go to the bathroom! Then we semi-finalists were given a completely different prompt to illustrate for the second round. It was a character named BLIN who was going on a journey but didn’t know where it would start or end. 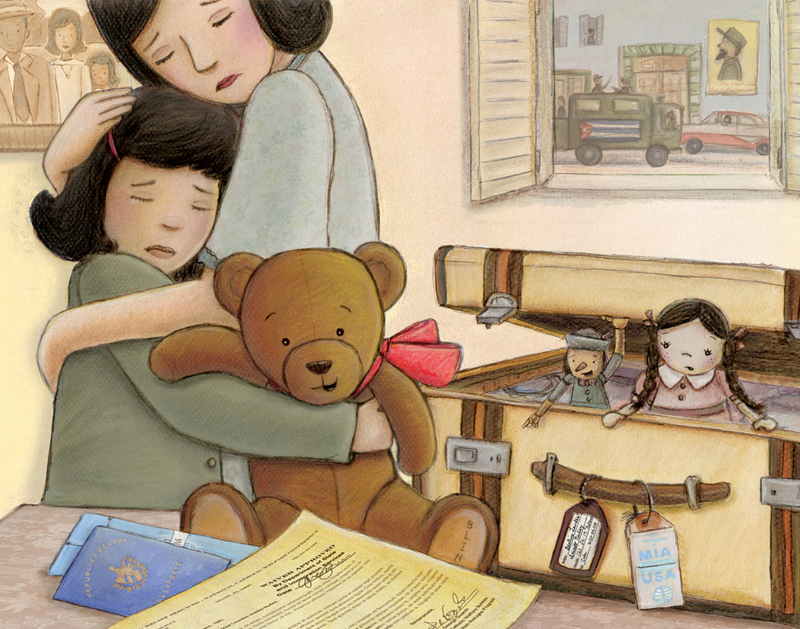 It was very hard to come up with an idea based on the way the prompt was written, but for some reason the idea of the Cuban children migration in the 1960s – known now as “Operación Pedro Pan” (Operation Peter Pan) – kept sticking in my head. 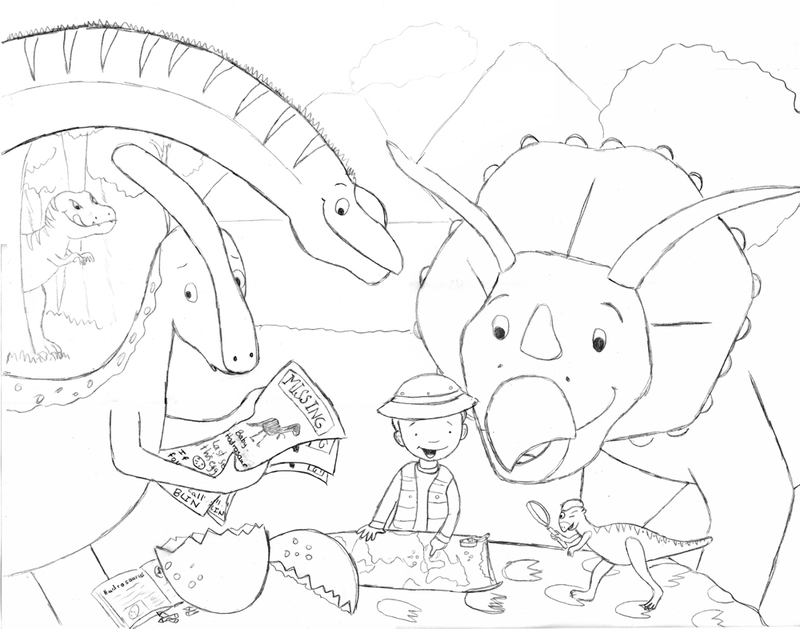 I also had an idea about a boy on a journey to find a missing dinosaur. So I came up with two separate sketches to get feedback from my critique groups. In the end, I went with the Cuban themed illustration. BLIN is the bear, which stands for Beatrice Lourdes Iniesto Nuñez, his owner. He’s looking at the visa waiver, passport, and airline ticket on the table, thinking he’s about to embark on an exciting journey. Little does he know that this would be the last time he and Beatrice would see their homeland of Cuba again. I wanted to show the conflict of emotions – BLIN’s innocent curiosity vs. Beatrice’s sadness about leaving her family. Unfortunately, I didn’t win the grand prize but at least I have a strong portfolio piece that could potentially develop into a picture book story. Tell us about the books you have published. 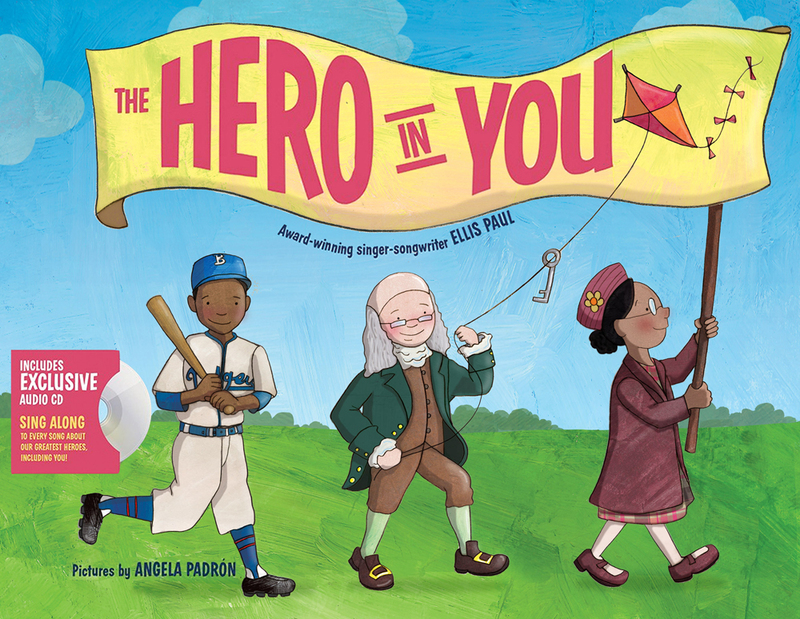 THE HERO IN YOU was written by Ellis Paul, a successful songwriter and singer of folk and country music. He wrote songs about historical figures that people consider to be heroes, and Albert Whitman & Co. decided to compile them into a children’s book. My idea was to portray the figures as children, as if to say they were once children too, like the readers. In this way, the readers could feel like they themselves are special – even heroes – too. This was a really fun book to illustrate because I got to do a lot of research about the famous figures and learned so much about their lives and contributions to history. MY BODY BELONGS TO ME was written by Jill Starishevsky. It was originally a self-published book that Free Spirit Publishing picked up to redo and reprint. Its intent is to help children feel comfortable enough to tell someone if they’ve been inappropriately touched or abused. This was done in a different type of digital collage style that I used to do. What were the one or two things you did that most helped you learn or improve your craft? Without a doubt, joining SCBWI and finding a great critique group were the two most important things I ever did to improve my craft. And studying at Academy of Art University to earn my MFA was extremely helpful. It gave me the confidence and knowledge I was lacking to illustrate books. I also have many books about illustrating books that I read and reference all the time, such as: WRITING WITH PICTURES, by Uri Shulevitz; ILLUSTRATING CHILDREN'S BOOKS, by Martin Salisbury; and THE ENCYCLOPEDIA OF WRITING AND ILLUSTRATING CHILDREN'S BOOKS. In addition, I continue to take classes to improve my skills, including those at Dr. Mira Reisberg’s Children's Book Academy and The School of Visual Storytelling with illustrators Will Terry and Jake Parker. I also joined some fellow illustrators in starting a SCBWI member illustrator critique group on Facebook. We have almost 200 members, and we get to post our work in progress for feedback whenever we want. It’s been an amazing group so far and we keep growing every week. Having an online portfolio and website is key, I think, to getting published. Then researching the names of publishers and art directors to whom I could mail out promotional postcards and/or packages was vital. I start with THE BOOK, which is the most recent market survey available to SCBWI members. It’s similar to the CHILDREN'S WRITER'S AND ILLUSTRATOR'S MARKET that comes out each year. One important thing, though, to remember is that those resources are just starting places. You then have to go to the publishers' websites to find their most current submission guidelines and contact person. You also want to make sure that their taste in books will fit your writing and/or illustration style. If you don’t illustrate fantasy, for example, don’t send to publishers who are looking for that style. Lastly, you have to keep producing new work to show growth. I am re-organizing my portfolio into the different styles and mediums I work in, as well as redoing my logo, before sending out new postcards. I’m also streamlining my portfolio and narrowing the amount of work shown to only display 10-12 pieces in each style. As I produce new work, I’ll replace the old pieces to keep the portfolio fresh. In addition, I’m finishing up my TIME TO GO, ZO! book dummy and working on a final draft of a chapter book that I’m writing. I also want to do a few sketches for the chapter book so when I submit it I can show that I could illustrate it as well. 1) I draw my illustration in my sketchbook, then retrace it neatly on vellum in pencil. That sketch is scanned in, cleaned up, and brought into Photoshop where I change it from graphite color to brown. I like brown outlines as I feel they’re softer than black or dark gray. I then change the layer to Multiply so that it’s transparent. 2) I then take my sketch to Kinko’s and copy it onto Rives BFK paper, which is a heavy paper used for printmaking but works well for watercolor and pastel. By copying it directly onto the paper, I don’t have to worry about recopying it and changing it or ruining the original sketch. After copying it onto my paper, I tape it to a drawing board and use watercolor or watered-down gouache to color it in. Then I use pastels to add value, shadows and highlights and to soften it up overall. 3) The colored paintings are then scanned in and placed under the transparent sketch layer. I adjust the color and saturation as needed. Then I add additional textures, patterns, or shadows and highlights on top if needed. I’ve played the saxophone since fourth grade and used to play the piano and guitar but am very rusty. One of these days I’ll find the time to practice and relearn those skills. Oh, and I also don’t like chocolate but I will scarf down chocolate chip cookies. From the early days of doodling on the garage walls of her childhood home in Freehold, NJ to designing her high school logo and sewing her own wedding dress, Angela Padrón has always been creative. For over 15 years, she taught bilingual, ESL, Spanish, and Art before teaching Art part time and working as a freelance writer and illustrator for educational and book publishers. 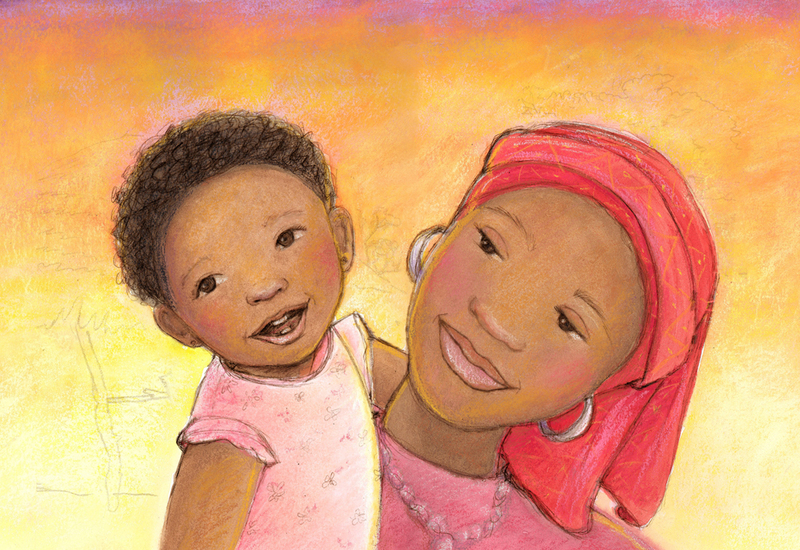 She loves to include humor, characters of color and cultural themes in her stories and illustrations. Angela has earned five college degrees, including an MFA in Illustration from Academy of Art University in San Francisco. She has been a member of SCBWI since 2003 and is one of the admins for a SCBWI member illustration critique group on facebook. 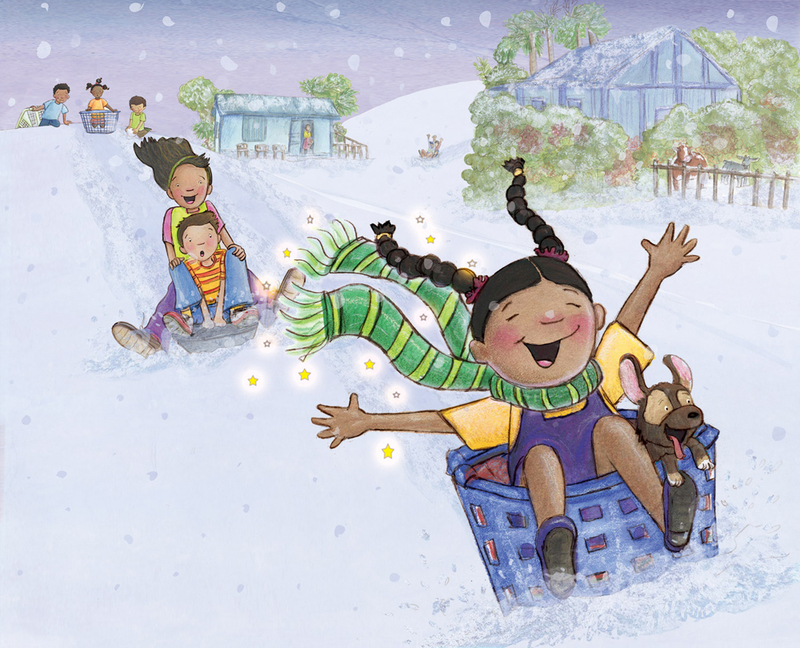 Angela also has her own blog, Show and Tell about writing, reading, and illustrating children’s books and blogs monthly for the Children's Book Academy. See her online portfolio at www.angelapadron.com and and follow her on Facebook and Twitter. It would be interesting to see your fine art technique done for children's illustration. What a wonderful interview! 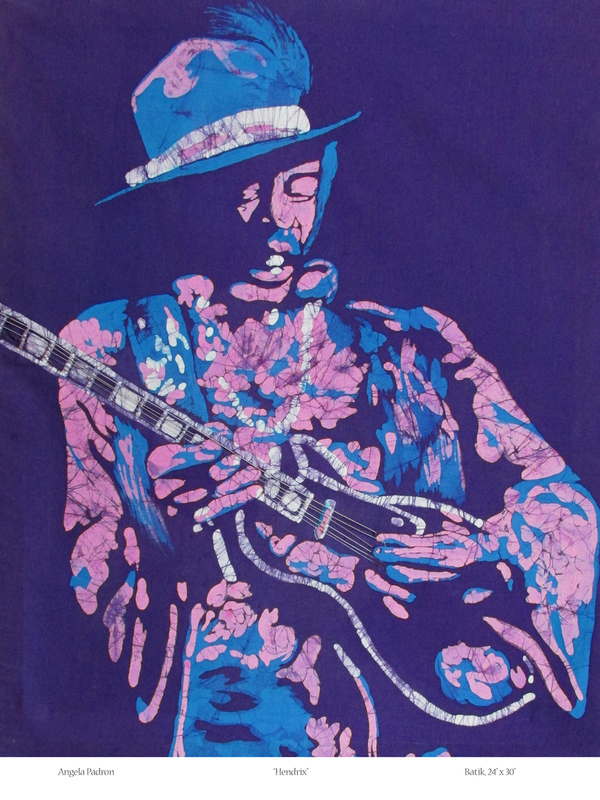 I am looking forward to your batik illustrations, I really like the idea of it, and the look! Hi, Angela! I love the emotions in your art. Thanks for sharing. I know, there are experts, who only trust well known designing softwares like Adobe Photoshop, Corel Draw, Illustrator etc. These are no doubt the best applications but for experts, not for novice. LogoAi.com lets you make free professional logo in few minutes (3 clicks), you don't have to be a designer to make a logo!